Sneak Peak: What's New in Thor Ragnarok 2017? Home » Films » Sneak Peak: What’s New in Thor Ragnarok 2017? The Avengers is definitely the most famous Marvel superheroes team to date. Thanks to the recent trend of Marvel movies, we get to see more and more Marvel heroes in action. And among those heroes, we cannot just forget Thor especially when his latest movie Thor Ragnarok is coming soon on November 2nd this year. This third Thor film features a very important event in Marvel timeline and it also paves way to 2018 Marvel Infinity War. Therefore, we definitely want to see how it will play out. So, a big question is: “What’s new in Thor Ragnarok 2017?” Let’s find out! Helheim (The Realm of Hel) – the realm of goddess Hel and the dead. Among these realms, Asgard is often regarded as the highest and the noblest plain. This is where the All-Father Odin, the Thunder God Thor, and the God of Lies Loki reside. In Norse Mythology, it is told that there was a cataclysmic event called Ragnarok (or Twilight of the Gods) in which the gods fought each other in battle and met their end. In this battle, Asgard and Midgard fell due to the great sea serpent – Jörmungandr. However, this destruction wasn’t the end of the world. From the fall of the old realms, new world will arise from the remnants of the past and life would flourish once again. But that’s the original Norse Mythology version, what about the Marvel’s version of Ragnarok? In Marvel, there is a prophecy called Volla’s Prophecy which tells the demise of Asgard. According to the prophecy, Asgard will suffer an unrelenting winter called Fimbul Winter which will shroud Asgard in fear and paranoid. Eventually, the great army of Giants and Trolls will march towards Asgard under Loki’s command. The Asgardians will have no other choice but to counterattack against the invading army. Thor and Loki will have their final battle, but then the Midgard Serpent will rise and intervene the fight. 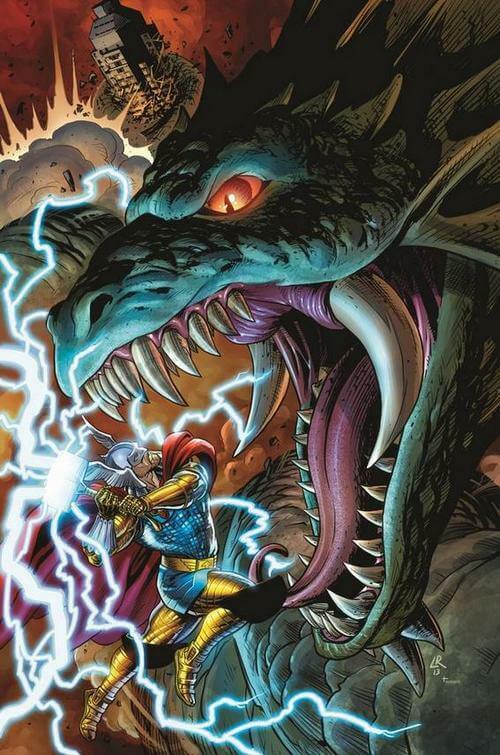 Although Thor will succeed in slaying the massive serpent, the realm Asgard will still be ruined. And ultimately, the Lord of Fire Surtur will burn everything left in Asgard to ashes. Similar to the original Norse Mythology, despite the fall of Asgard and the gods, new gods will rise and forge a new era. Hela, the goddess and death and the ruler of Helheim, will bring war to Asgard and it seems she actually succeeds. Thor will lose Mjolnir, again, but this time it is because of Hela. 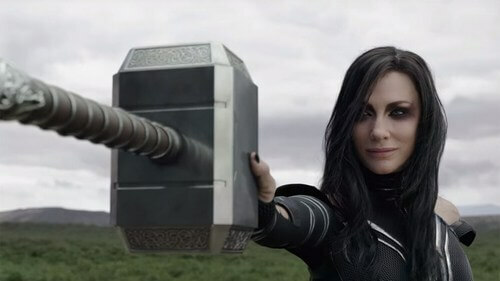 In the Thor Ragnarok official trailer, she can easily hold the hammer and crush it like glass. He will be “sent” to a gladiator world (ruled by the Grandmaster) where he has to fight for his freedom. Fortunately for him, here he will meet The Hulk and Loki. To fight against Hela, Thor forms a new team called “Revengers”, including himself, Loki, The Hulk, and Valkyrie. The Hulk will fight against the Fire Lord Surtur. For now, those are the most notable hints from the trailers. And of course, we are going to see how the entire story will play out soon on November 2, next week. Surely, what is a good story without good characters and actors? Luckily, we have already got a good idea of core characters and actors in Thor Ragnarok. Let’s check them out, shall we? Surely, a movie will never have “Thor” in its name without the main star: Thor Odinson. Thor is the God of Thunder and the son of Odin in Asgard. He is pretty much similar to the Marvel Comics version. In Thor Ragnarok, he initially “fights” Hela in battle. However, this “battle” quickly ends when she easily destroys the Mjolnir. Afterwards, Thor fell to the gladiator world monitored by the Grandmaster. Here, the Grandmaster declares that Thor have to defeat his most powerful champion if he wants to escape. Surprisingly, Thor meets The Hulk in this world and together with Loki and Valkyrie; they set on to save Asgard. As always, our good ol’ actor Chris Hemsworth will take the role of Thor with a new hair style. As the God of Lies and the mortal enemy of Thor, Loki has always been a mischievous villain in Marvel Universe. He often devises various plans to take down Thor from grand schemes to funny, yet traumatic plans like transforming Thor into a frog (yes, it did happen). That said; Loki is also one of the most interesting Marvel characters as he has shown significant character developments since his first appearance in 1949. Especially after his death in Siege of Asgard, he was reborn as a human child and ever since, he learned about his evil past and he thrived to atone for what he did. In Thor Ragnarok, it is still not sure whether he works with Hela to take down Asgard or not. But judging from his alliance with Thor to reclaim Asgard, it seems that won’t be the case. When Thor stuck at the gladiator world, he also sees Loki and together, they form a team and return to Asgard. 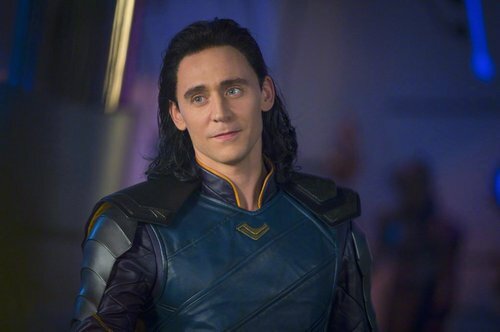 Again, our fan-favorite Tom Hiddleston will return once again in the role of Loki. *Fun fact: Initially, Tom Hiddleston joined audition for the role of Thor. His acting wasn’t bad but it seemed he was more suitable for the role of Loki. And turned out, Tom Hiddleston made a blast among fans with his Loki role. “What is a hero without fine villain?” And true! Having a villain idea isn’t always easy and bring that villain to life is even harder. Luckily, this time the Oscar winner – Cate Blanchett will take the role of the villain Hela in Thor Ragnarok. In this 3rd Thor entry, Hela will still assume the role of the god of death. 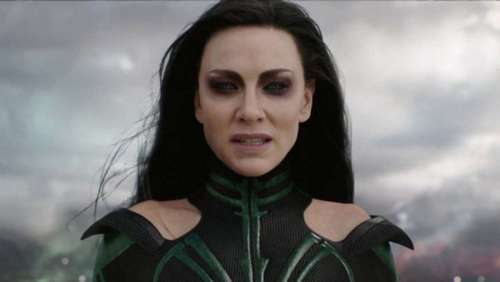 However, in Marvel Comics, Hela is the daughter of Loki while in this movie; it is still unclear about the relation between Loki and Hela. 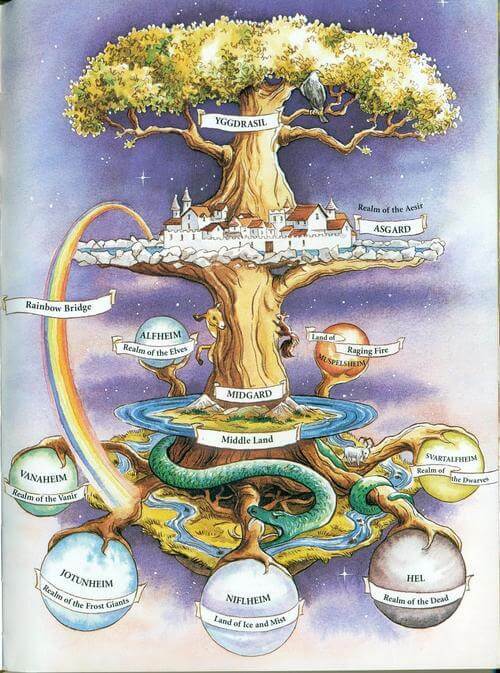 According to the Norse Mythology, Heimdallr is the god who lives near the rainbow bridge Bifrost which connects the Asgard and Midgard. He possesses foreknowledge, extraordinary sight and hearing. He is also the one keeps watch on the Ragnarok. In Marvel Universe, Heimdall’s duty is quite a bit different. He is still the one who guards the Bifrost. He still has the all-sight and all-hearing abilities as he keep watch over everything happening throughout the Nine Realms. Heimdall also has responsibility as the protector of Asgard and the Tesseract. 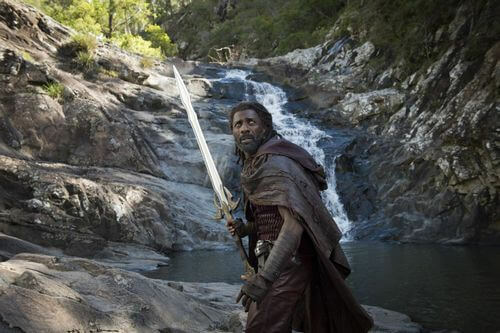 In Thor Ragnarok, Heimdall will return and he is played by Idris Elba. If there is a price for the best “gamers” in Marvel Universe, it has to be Grandmaster. Grandmaster is one of the Elders of the Universe, and he has extreme obsession with games. He studied many worlds and various games. Grandmaster isn’t exactly an evil being, but rather, an “old man” who really likes to pit people into conflict games. Throughout Marvel timeline, he has caused great disturbances which forced heroes and villains fought each other in his “games”. The most notable “game” he set up is probably the Justice League vs The Avengers event. 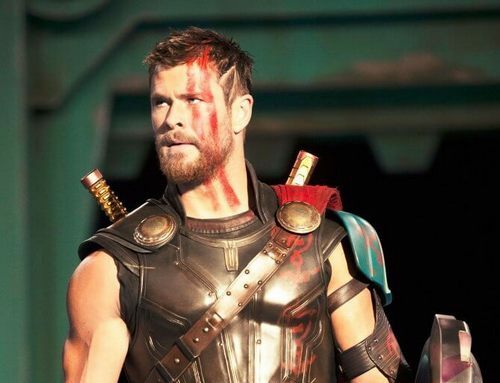 In Thor Ragnarok, he appears to be the master of the gladiator world. It seems he really enjoys putting combatants into deadly fights and he even forced Thor joining the arena. 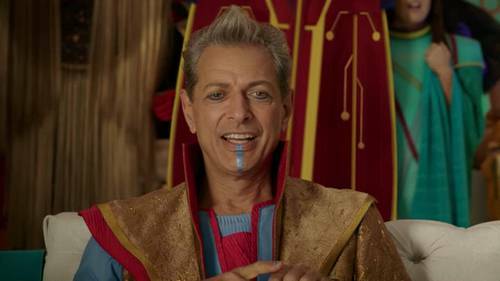 Grandmaster in the movie also looks extremely similar to human, unlike his design in the comic. To depict this mischievous character, Jeff Goldblum has been chosen to play as Grandmaster. This is probably the most rocking news recently, with Tessa Thompson playing as Valkyrie. 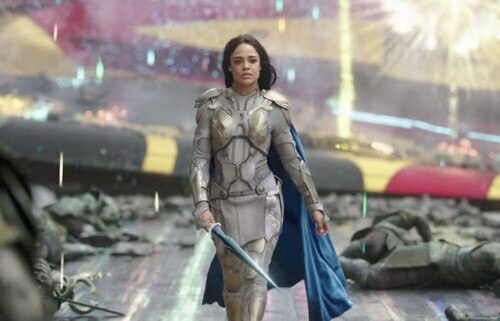 But enough for the sexual matter, Tessa Thompson definitely looks like a good choice for the role of Valkyrie. In Norse Mythology, Valkyries are the groups of warrior-looking female who can choose who live and who die in battle. The warriors chosen by the Valkyries will be sent to Valhalla and become Einherjars – warriors who prepare for the cataclysmic Ragnarok. In Marvel Universe, Valkyrie is another name of Brunnhilde who chosen by Odin to lead the Valkyrior, the Choosers of the Slain. The role of Valkyrie and Valkyrior isn’t much different from the Norse Mythology. To fight against a powerful enemy, we need powerful heroes on our side. And in Marvel Universe, who can be more tenacious and destructive than The Hulk? 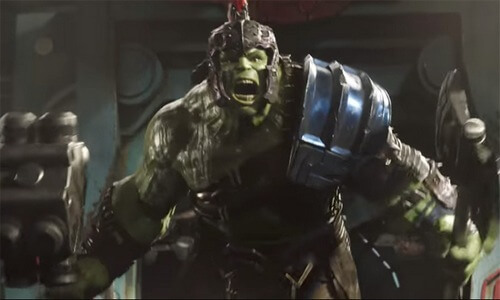 In Thor Ragnarok, we will get to see The Hulk again and curiously, he is in the same gladiator world as Thor. When there is The Hulk in the movie, we can expect lots of epic battles from him. Typically we can see a bit of his fight against a giant wolf (possibly Fenris) and against the Fire Demon Surtur. Once again, Bruce Banner will be acted by Mark Ruffalo. And that’s it folk! Of course there are more characters featured in Thor Ragnarok but here we will only list the most important figures. For now, thank you and stay tune for news in the future! Oh! And don’t forget Thor Ragnarok on November 2nd, 2017! Special Marvel Coupons & Deals 2017!